In groups of no more than 3 people, $18, and a set time; you are able to stand at what in this day feels and looks like the end of the universe. This amazing exhibit debut in Houston at the Museum of Fine Art by the amazing artist Yayoi. If you live in LA, The Broad had the "Infinity Room" which was very similar and yes, by the same artist. The End of the Universe consists of 2 interactive installations. Pictured below, the beautiful infinity room is called "Aftermath, the obliteration of Eternity." This intimate space is illuminated by golden lights that ignite and then fade to darkness. It is absolutely beautiful. It is a mirrored area so it gives the illusion of an infinite horizon. The sister exhibit is called "Love is Calling." It is another interactive space with glowing tentacle like forms shooting from the floor and ceiling. 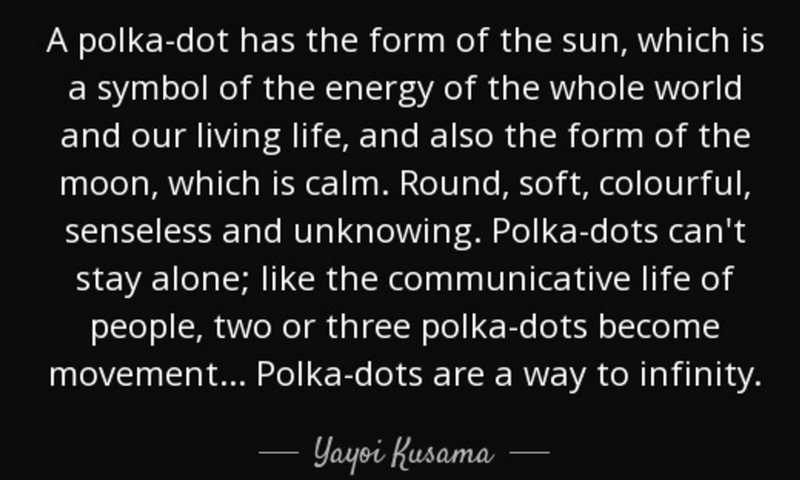 They feature the artists signature polkadots and they constantly change colors. There is a recording of the artists voice as she recites a poem in Japanese. 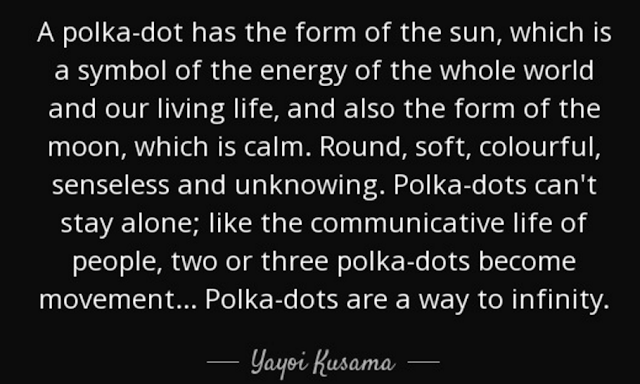 If you get a chance read up on Yayoi Kusama. The artist behind these installations is 87! She is so fabulous and has even had a collaboration with Louis Vuitton. If you get a chance you should check it out, it's here until september!